• The Casino’s artificial ice surface was the the first known in North America. • The Casino was the first place in Pittsburgh where organized ice hockey was played. • The Gardens was the first hockey rink to use glass above the dasher boards. • The Exposition Winter Gardens was the last place that Hobie Baker played hockey. • When the Civic Arena opened in 1961 it was the largest dome in the world. 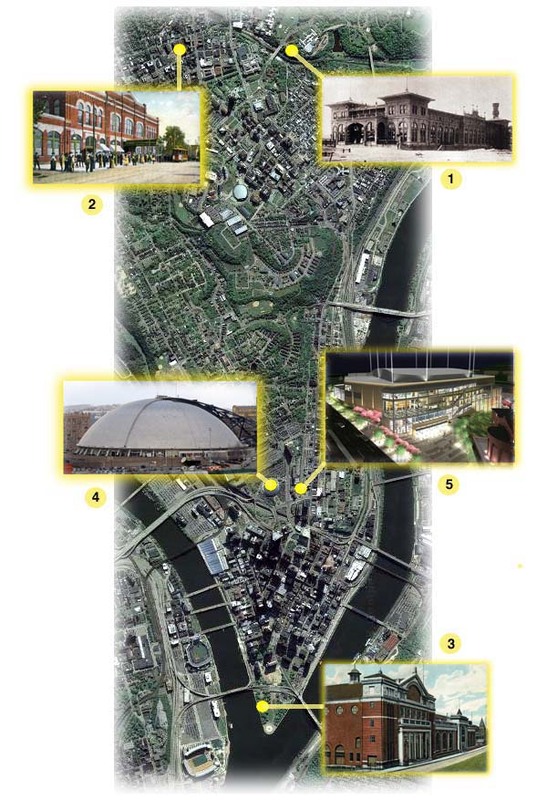 • Ground was broken for constrution of the CONSOL Energy Center on August 14, 2008. • The name “Civic Arena” was restored on August 1, 2010 when the naming rights agreement with Mellon expired. • The CONSOL Energy Center opened officially on September 7, 2010. • CONSOL was renamed PPG Paints Arena on October 4, 2016. Without a new arena, the Penguins will not be able to survive. 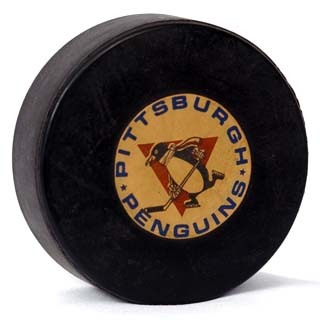 Pittsburgh had four indoor hockey rinks where competitive, professional hockey was played. The fifth arena, the CONSOL Energy Center, opened for the 2010-11 season.